The next 2nd Saturday Bordentown Stamp Bourse will be held at the Bordentown Senior Center on May 11th, 2019 in Bordentown, NJ. The Bordentown "Second Saturday" Stamp Bourse is a monthly gathering of stamp collectors and dealers from the Central New Jersey area and beyond. 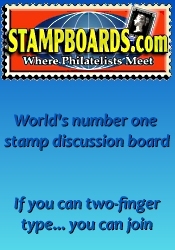 A wide range of philatelic material is available including stamps, postcards and postal history. The BSB has about 20 dealers on an average Saturday. Our bourse is open to all, from novice to long-time collector, with free parking, free admission, and free donuts & coffee. 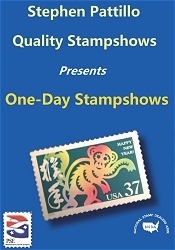 *** Please verify the show times and dates before attending the "2nd Saturday Bordentown Stamp Bourse", as they are subject to change.